With research estimating half of American Retail positions will be replaced by digital technologies and automation, sales, and marketing firm 1st Line Global release a statement explaining why they disagree with these predictions. 1st Line Global is not concerned for the future of the sales and marketing industry. The firm believes that despite the development of a digital world, many consumers will still prefer purchasing from humans. Many predictions of the American market are set to explore a variety of industries being replaced by digital automation. Recent research has found that almost half of American's currently working in retail are at risk of losing their job to robots in the near future. A large percentage of the reasoning behind such predictions is the advancement of phone technology, as this is set to disrupt the sales industry. Cell phones are set to increase the level of personalization between consumer and business, using location technology and customer history. Predictions for the future of the retail industry show technologies such as autonomous robots, Radio Frequency Identification, and proximity beacons as well as the development of technologies already installed in many retail companies such as digital kiosks. Despite such shocking claims, 1st Line Global is not concerned for the future of the sales and marketing industry. The firm believes that despite the development of a digital world, many consumers will still prefer purchasing from humans. 1st Line Global states that they can offer a tailored service; the firm can answer brand enquiries more efficiently than AI representatives. The company also states that they are also able to build and maintain higher brand trust and consumer confidence. The firm understands that despite growing technology there remains a great yearning for human interaction in all industries. Recent research into how consumers use technology found many supportive statistics, such as a minuscule 20% of those surveyed used their cell phones for regular email use. The study similarly found that a staggering 74% who experienced poor or no phone experience stated that they would go to a different company in the future. As such, 1st Line Global understands the importance of human contact and high levels of customer experience. The firm states a high interest in expanding with new technologies, but ensure they will not forget the importance of human interaction. 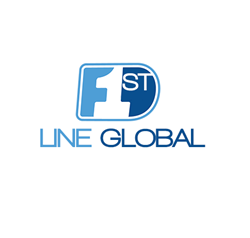 1st Line Global is West Palm Beach's fastest growing marketing firm, and the company specializes in dynamic and engaging marketing campaigns for their extensive list of clients. 1st Line Global has a strong company culture of hard work and a results-driven workforce. The firm originated in the United Kingdom and with colossal success came the extensive expansion the USA. 1st Line Global is showing no signs of slowing with an ever-expanding list of clients, and effective campaigns.